Deacon Eric Phillips departed this life on Sunday July 29th, 2018. He was born March 14th, 1959 in Staten Island, NY. He was the oldest of two children born to Willie Otis and Madeline Phillips. Eric attended St. Sylvester Middle School and graduated from Curtis High School in 1977. Eric attended the college of Staten from 1977-1979. Eric met his lovely and beautiful wife Yama Watson while working at Mr. Loretto. They were married for 31 years and from that union they had one daughter, Sherika Ann Phillips. Eric believed in hard work to achieve goals. Growing up, Eric had 2 jobs every summer. He was a supervisor at the NYC Parks and Department and worked at Mt. Loretto at night. In 1984, he was appointed to the NYC Transit Police Department. When the city merged the NYC Transit police department with the Ny Police Department, Eric continued to serve the community. He retired as a detective in 2005. Shortly after his retirement, Eric started his second career as a Fire and Safety supervisor with Hotel funds and Trade. Eric was very committed to everything he put his hand to. He joined AA in October of 2005. He was dedicated participant and sponsor until his passing Eric said that AA saved him and through AA he found God. Eric believed AA works for those who are willing to put the work in. Eric was known to share his words of encouragement to anyone who would listen and during their conversation he would witness the word of God. As he grew in faith, Eric joined the church where his wife and daughter attended, St. Philips Baptist Church. He joined the church in 2005. He was baptized in 2006 and spiritually grew in the lord, becoming a deacon in 2014. He was faithful in his service to the lord and his church. He regularly attended services, Wednesday night prayer and Bible Study. He was also a member of the St. Philips Male Chorus. 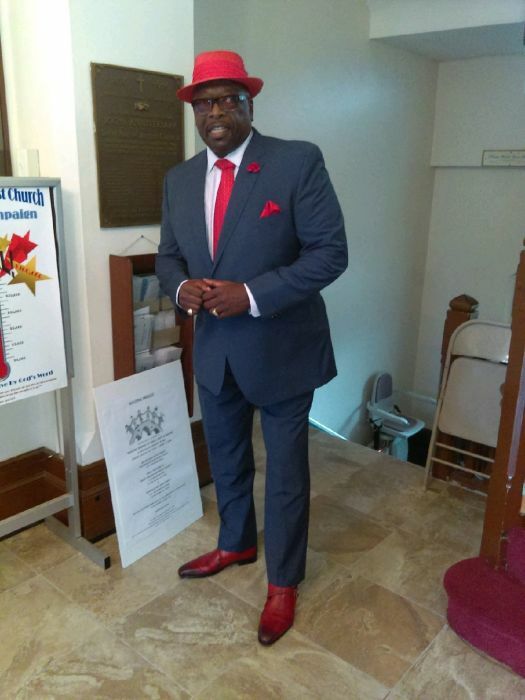 Deacon Eric Phillips is survived by his loving wife Yama; three sons, Eric and Earl Brisbane(Vasheena) and Erin Moses; Daughter Sherika Ann Phillips ; two grandchildren Nyquan Brisbane and Sophia Brisbane; and a host of nieces. Nephews, cousins and friends.